We often come to a problem where we need to detect moving objects from a camera. Ever thought how can we do it ? And how complex it is? Well if you ask me, when I started, terms like using a camera (Computer Vision), coding in python, Deep learning, Algorithms, Data models… everything sounded complex. But when I actually started with it by reading various documentations of available libraries and tutorials on Youtube, it seemed very easy. Almost everything is readily available, all you need is to put different components/libraries and wireframe into one single application to achieve your goal. Camera detecting moving persion/object and recording its in and out time and then plotting a graph. How it will look like ? Forgive me for testing it with my hand. It could be any object that’s moving in front camera. What all you need ? 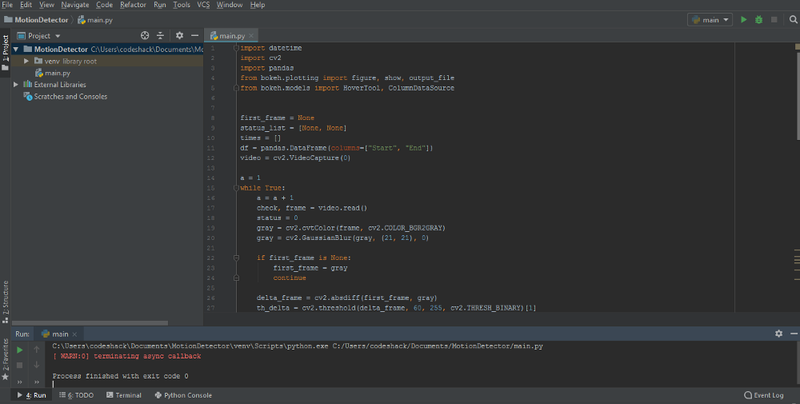 And it the end of course we need a Python IDE, well I am using PyCharm for this. How to download all packages and make your environment ready for development ? 1. 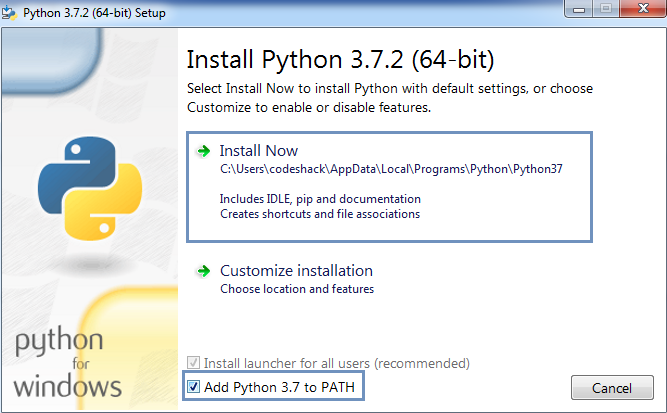 Download and Install the latest Python Package from here. ***Ensure you chose “Install Now” option to install all supported libraries by default. 2. After Installation ensure Python is working as expected in your system. Open command prompt and run this command: “Python — — version”, it must display the version of Python. Checking if Python is installed properly on system. 3. Download and Install PyCharm from here. 4. Post installation open PyCharm and Create a new Project. In PyCharm at bottom you will find Terminal, where you can run all python or PIP commands. So how we are going to achieve it ? All we need is to detect moving objects in a video stream(source being camera here). What is a video ? It’s nothing but multiple images or frames which are displayed very quickly. So using OpenCV, we will capture the frames and will loop through each frame so that it appears like a video. To detect the moving objects, we will store the first image as the base frame and then with each further frames we will keep on substracting the frames, so that if at any point of time there is a difference b/w the two frames it means there is a new object in our frame. Then we will detect that new object in our frame and will highlight in into the windows by drawing a rectange around it. To increase the efficiency, we would convert each frame to gray scale and then Gaussian blur image. Also a threshhold is defined to remove minor deviations in the frame, e.g., shadows, flies, etc as we are really not interested in detectiting those as our desired Objects. 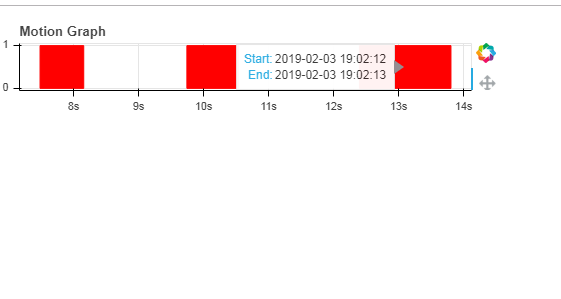 Also we will log the time the object enters our frame and leaves our frame as Start and end timings in our dataframe using Pandas library. Based on the dataframe created by Pandas, we will further plot a graph using Bokeh library. 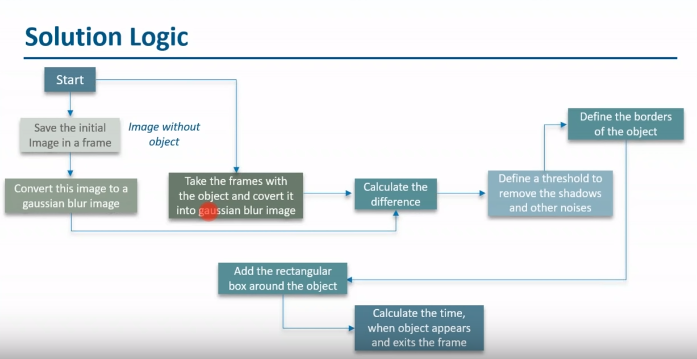 #Storing the first frame in first_frame variable that will be used substract from further frames to get the objects. #thresholding the delta_frame (difference in first and current frame) ~ If pixel value is greater than a threshold value, it is assigned one value (may be white), else it is assigned another value (may be black). #dilating the thresh delta further to increse efficiency. #continue the while loop until user presses ‘q’ button on keyboard. Next Post:AlphaStar’s Victory: How Much Threat Is Artificial Intelligence?